While the Tax Cuts and Jobs Act (TCJA) reduced most ordinary-income tax rates for individuals, it didn’t change long-term capital gains rates. They remain at 0%, 15% and 20%. The 0% rate generally applies to taxpayers in the bottom two ordinary-income tax brackets (now 10% and 12%), but you no longer have to be in the top ordinary-income tax bracket (now 37%) to be subject to the top long-term capital gains rate of 20%. Many taxpayers in the 35% tax bracket also will be subject to the 20% rate. So finding ways to defer or minimize taxes on investments is still important. 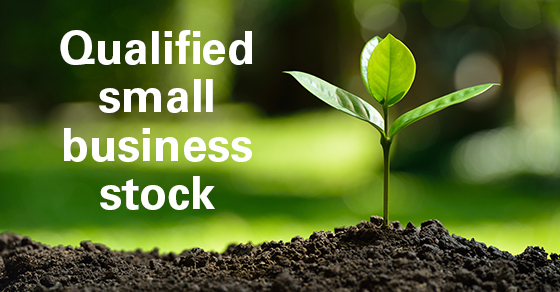 One way to do that — and diversify your portfolio, too — is to invest in qualified small business (QSB) stock. To be a QSB, a business must be a C corporation engaged in an active trade or business and must not have assets that exceed $50 million when you purchase the shares. The corporation must be a QSB on the date the stock is issued and during substantially all the time you own the shares. If, however, the corporation’s assets exceed the $50 million threshold while you’re holding the shares, it won’t cause QSB status to be lost in relation to your shares. 2. Tax-free gain rollovers. If you don’t want to hold the QSB stock for five years, you still have the opportunity to enjoy a tax benefit: Within 60 days of selling the stock, you can buy other QSB stock with the proceeds and defer the tax on your gain until you dispose of the new stock. The rolled-over gain reduces your basis in the new stock. For determining long-term capital gains treatment, the new stock’s holding period includes the holding period of the stock you sold. Additional requirements and limits apply to these breaks. For example, there are many types of business that don’t qualify as QSBs, ranging from various professional fields to financial services to hospitality and more. Before investing, it’s important to also consider nontax factors, such as your risk tolerance, time horizon and overall investment goals. Contact us to learn more about QSB stock.